Being able to check how your students are progressing with their homework is a valuable way for you to monitor and guide their learning. Mouse-over your task and select Progress. 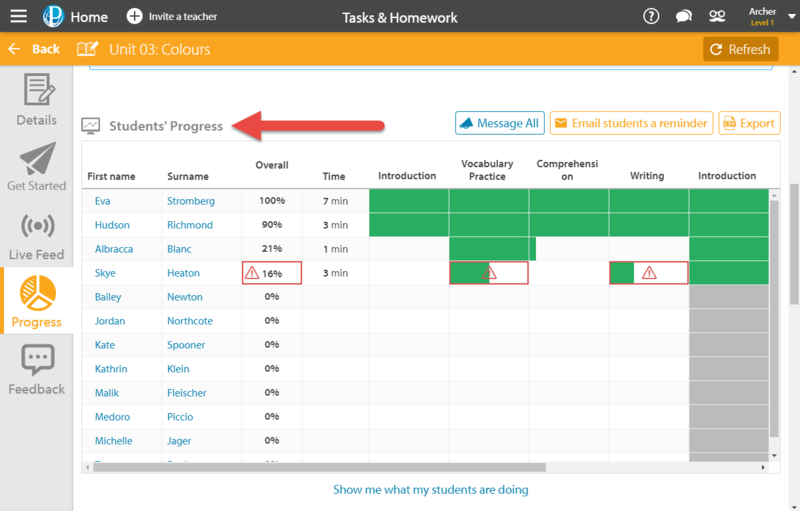 A Task Summary appears at the top of the progress report, with some brief information about how many students have been assigned the task and how far through it they are. This information also appears in the form of a pie graph. 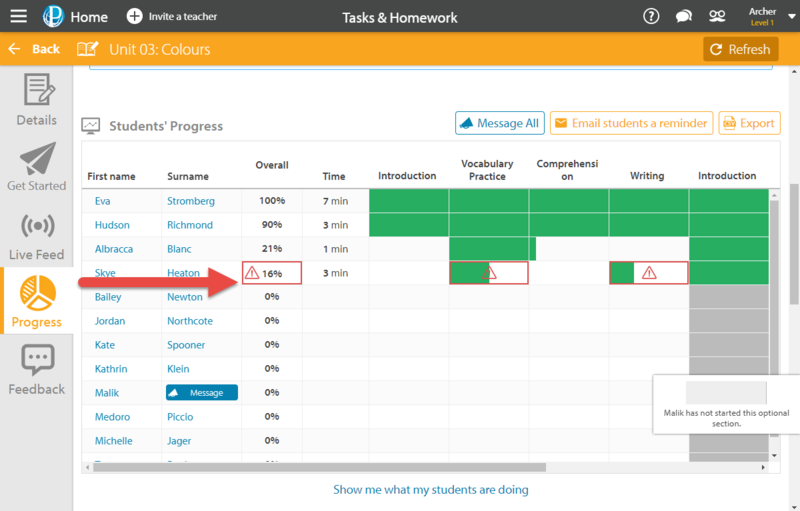 Insights are handy pieces of information, outlining at a glance how well your students are progressing with their task. 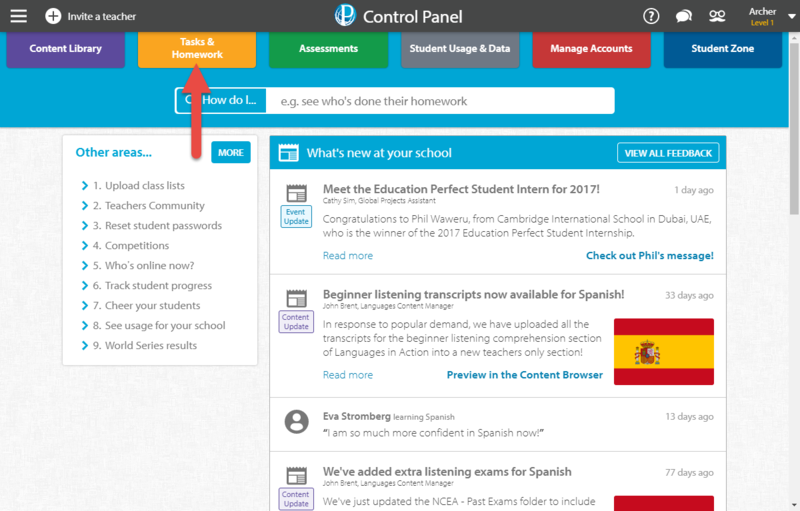 Here, you can find out if any students are struggling with a section, or if some have completed sections that you can check out. 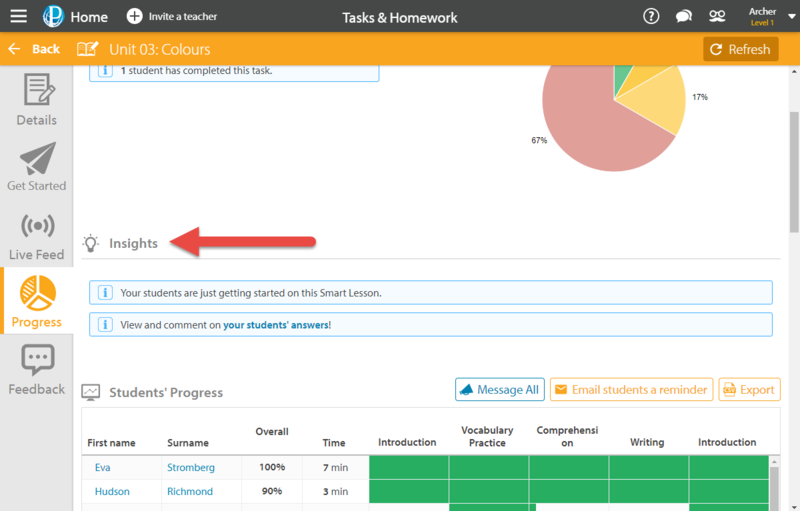 Scroll down to view overall completion of the lesson for individual students in the Students' Progress box. 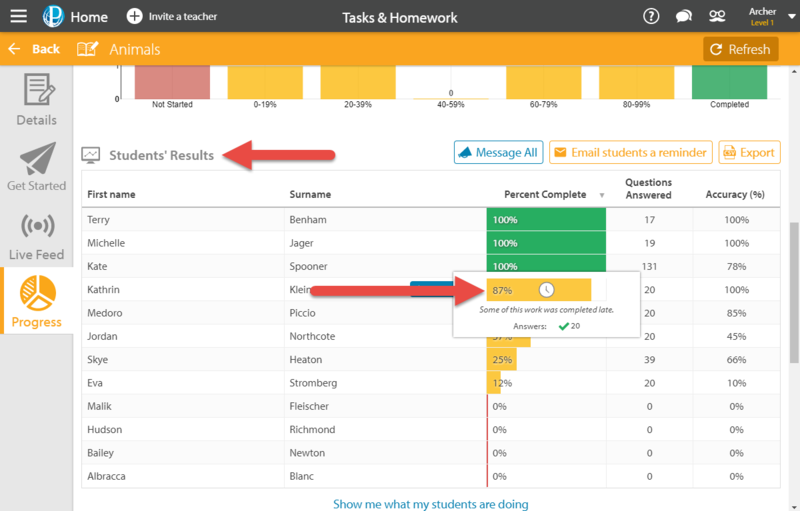 Click on a student's name to see a breakdown of that individual student's results. 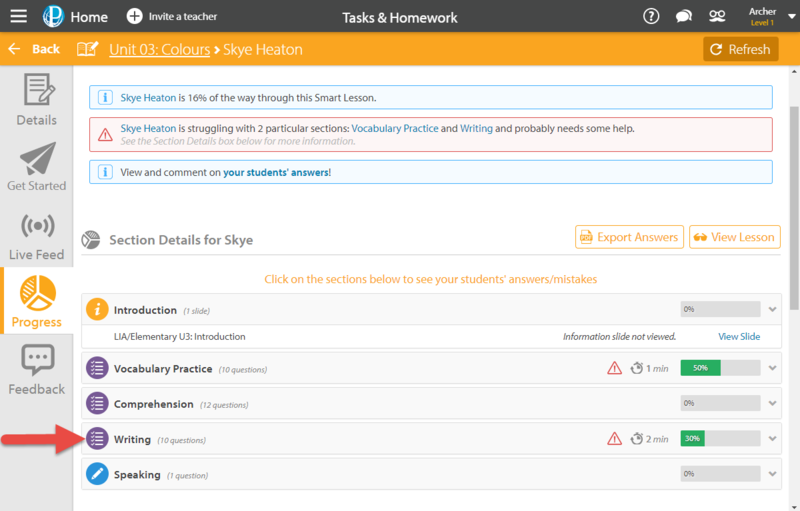 Click any of the task sections to see the student's overall accuracy for these questions. 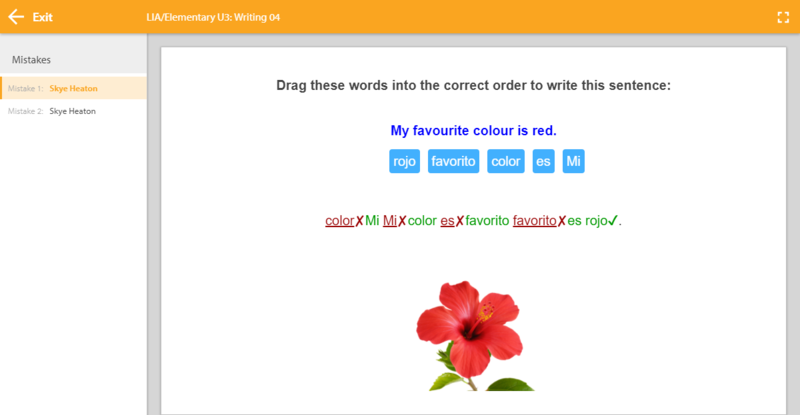 View their incorrect answers by selecting View Mistakes. From here, you can see any incorrect answers the student gave for the question. 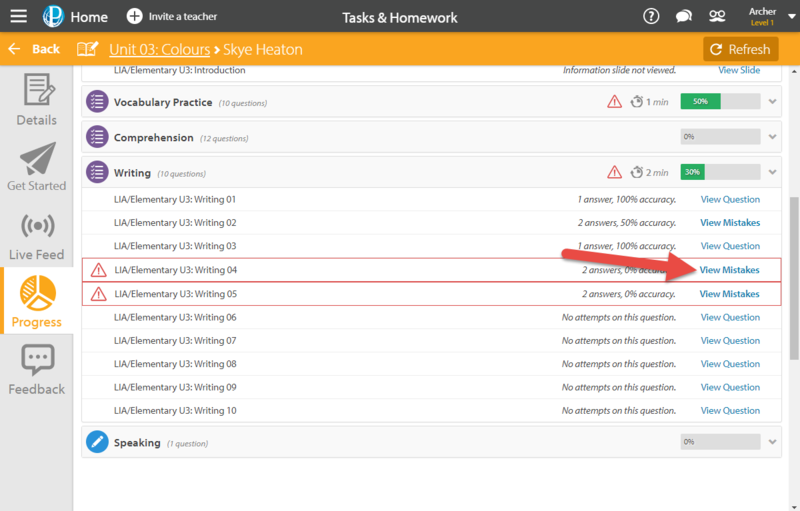 Similar Task Summary information appears at the top, with additional information about how many questions students have answered. 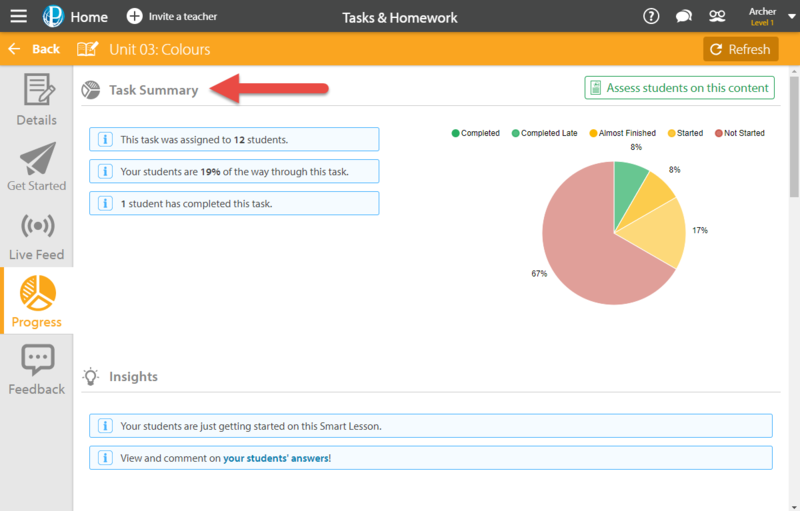 Scroll down to Task Completion to view a breakdown of how much of the task your students have completed. Scroll down to the Students' Results box to see how far through the task individual students are, and how accurate they've been. The clock icon indicates that some of the work was completed while the task was overdue. 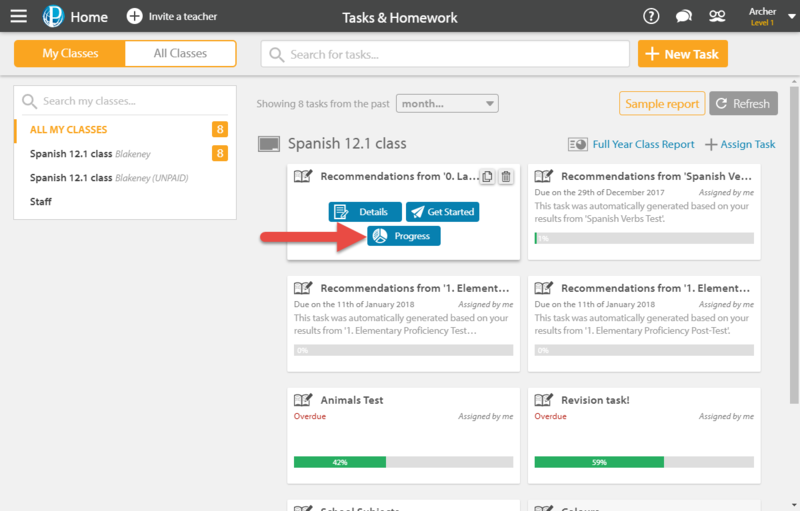 Select the Show me what my students are doing button to get a live update of what the students are doing, if the task is in progress. You can see which students are not focused on the window, if they have a bad internet connection, who is idle, who is online and who is offline. 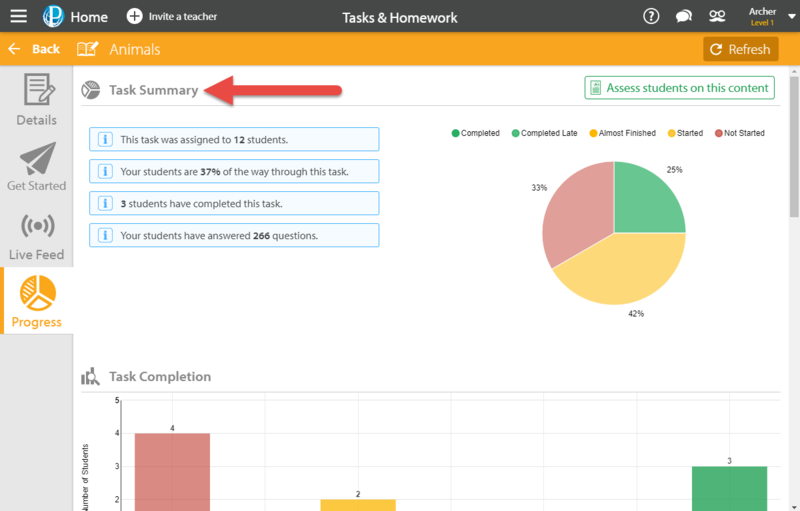 Scroll right to the bottom to see Challenging Questions - how many students have attempted a difficult question, how many times they've answered that question overall, and how accurate the class has been for that question.